This stunning Light of Jerusalem anointing oil by Ein Gedi cosmetics is based on high quality pure olive oil combined with the sweet and spicy scents of frankincense, myrrh and cinnamon. 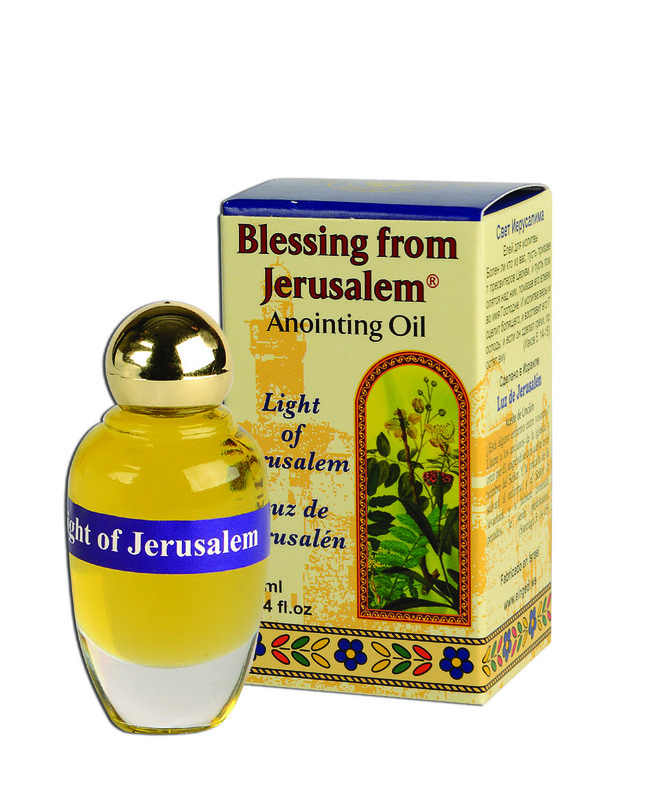 A wonderful smelling concoction of the Jerusalem hills, this lovely anointing oil comes in an attractive bottle and i as wonderful to smell as it is meaningful and biblically inspired. Made with the essential oils of frankincense, myrrh and cinnamon mixed into pure Israeli olive oil made from olives grown on the Jerusalem hilltops, it is a lovely ode to the Holiest of cities.